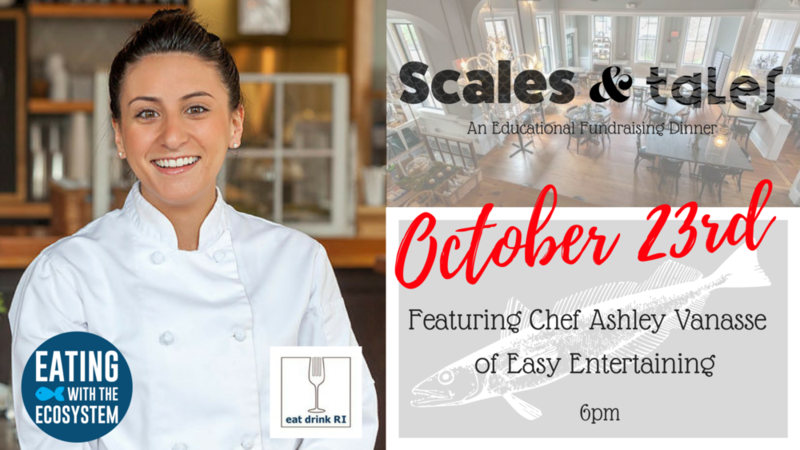 At our Fall 2017 Scales and Tales Dinner, Chef Ashely Vanasse and her team at Easy Entertaining prepared an amazing multi-course dinner featuring fried Bluefish and Sand Crab appetizers, a delicious Bonito crudo, homemade linguini with Slipper Limpet sauce, and smokey Jonah Crab with local potatoes in a sweet onion and butter corn broth! 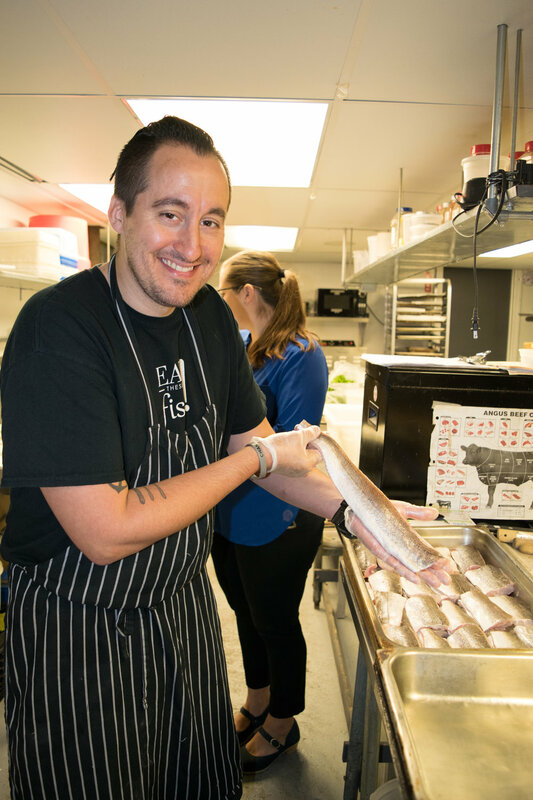 Local gillnetter Aaron Gewirtz shared not only the delicious bonito and bluefish he caught but also shared tales of the changes he has seen in our local waters and how consumers can help support our local ecosystems and fisheries. 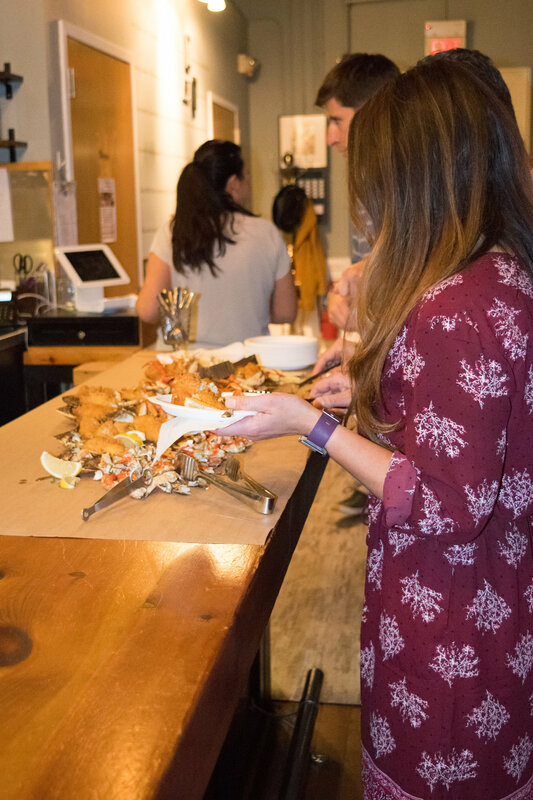 Eating with the Ecosystem's Kate Masury taught guests about each species role in the ecosystem and the important habitats used by our featured seafood species as well as how to tell the difference between a Jonah crab and Sand crab. 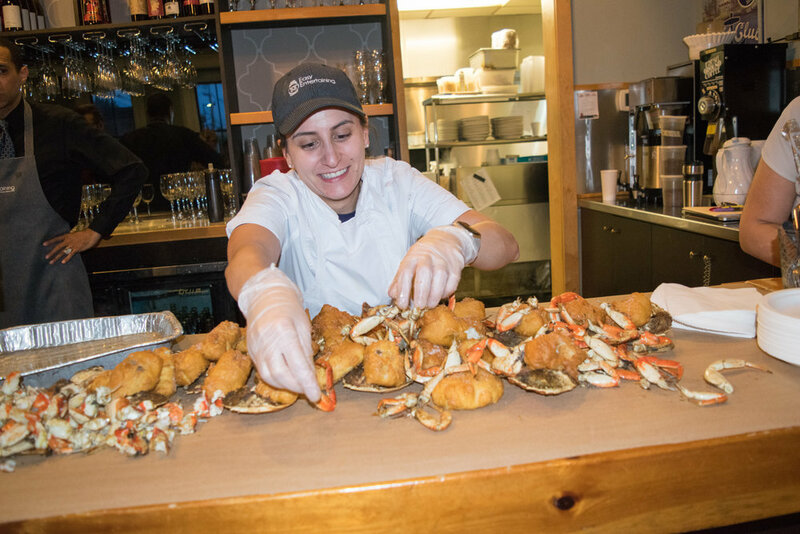 On September 21st Eating with the Ecosystem joined forces with Newport Vineyards to host our first Gills & Grapes dinner. It was an evening of education and eating local with a 5-course seafood dinner paired with Newport Vineyards wines. Featured seafood species included Jonah crab, yellowtail flounder, mahi-mahi, monkfish, and scallops. Lead by Eating with the Ecosystem's Kate Masury, Executive Chef Andy Teixeira, along with Newport lobsterman Al Eagles. 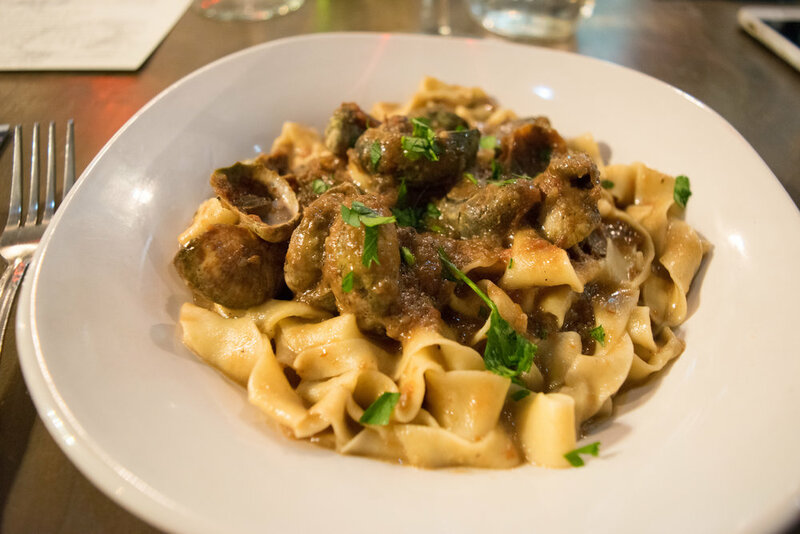 Guests discovered the bounty of our local ecosystems and dined for a cause! Chef Derek Wagner and his team at Nick's on Broadway served a delicious dinner complete with monkfish, squid, whiting, and Narragansett Bay sea salt to top our deserts! 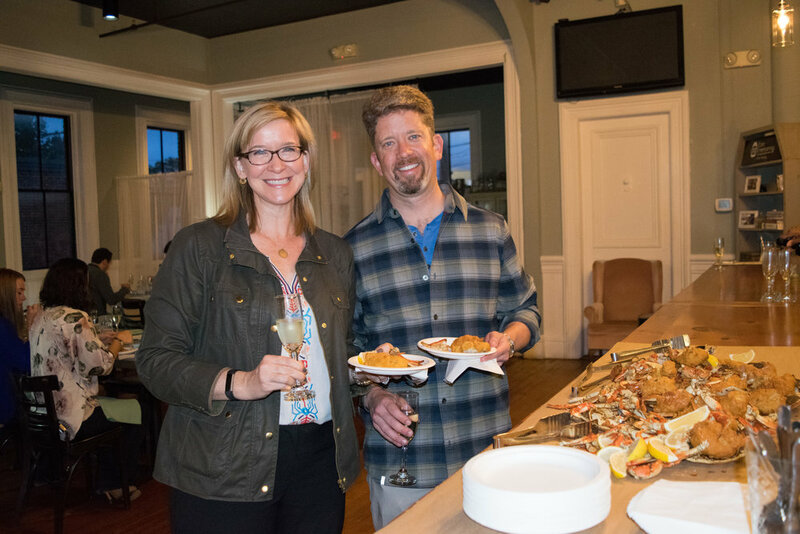 Eating with the Ecosystem's Kate Masury taught the guests about our featured fish and Aubrey Church interviewed local dragger fisherman, John Reposa about the fishing industry and why it is important for consumers to support our local fishermen by eating our local seafood. From 2012-2013, Eating with the Ecosystem’s traveling dinner series partnered with restaurants in Rhode Island and the Boston area to celebrate and steward the region's unique marine ecosystems, one at a time: Southern New England waters, Georges Bank, and the Gulf of Maine. At each dinner, two guest speakers -- a commercial fisherman and marine ecologist -- helped us learn about how the special habitats and food webs in these ecosystems conspire to produce our world-famous seafood -- and what we must do to take care of these food-producing ecosystems for the future.